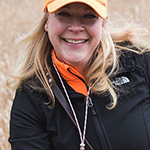 National Animal Interest Alliance conferences are intended to not only educate, but to foster and promote relationships between individual attendees and various groups. The last conference in Florida did just that: brought together the American Federation of Aviculture (AFA) and the Pacific Legal Foundation (PLF) who are now working together for the betterment of the golden parakeet. AFA petitioned to have the golden conure delisted from the Endangered Species Act coverage in 2014. The US Fish and Wildlife Service (FWS) responded with a finding that delisting may be warranted, which triggered a requirement for FWS to follow up within 12 months with a decision whether or not to delist. However, 24 months have passed with no decision. PFL is now serving a 60-day notice on FWS that they will sue on behalf of AFA if they continue to ignore the requirement to act on the delisting petition. 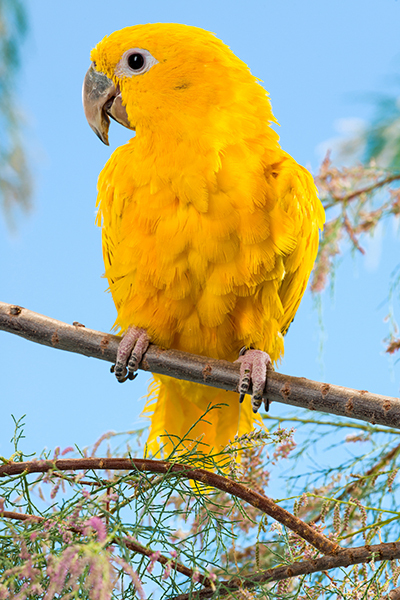 The golden parakeet, or golden conure, is a non-native species that many AFA members own and breed. Under the current regulations, because they are under ESA coverage, owners must obtain a special “take” permit to sell a bird across state lines. This restriction, intended to protect the birds, actually ends up hurting them in the long run. So much conservation is done through private breeding, and this type of restriction results in severely limited gene pools. The protection and conservation efforts have been successful: the population has gone from 1,000 birds, triggering the listing, to over 20,000 birds today. Private breeding of golden conures greatly contributes to their recovery as a species. 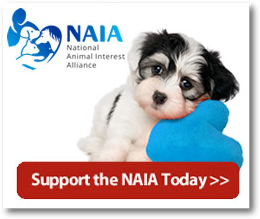 One of the many goals of NAIA is to serve as an umbrella organization that brings the various animal interest groups together to interact and support each other in a united front that better serves all of our best interests. We are thrilled that these two groups met and began talking about this issue at the 2016 NAIA conferences so they could join forces to help save the golden parakeet! For more information on the wonderful world of aviculture, please browse through the abundance of information on our sister site, Discover Animals!